Tactical Rx and its parent company Sports Optical is a family and veteran-owned company, owned and operated by Master Optician Bret Hunter. Having worn glasses since the fourth grade and never finding a solution for any of his high-action activities (he was a competitor in one of the first X-games), Bret set upon a path that would revolutionize the sports eyewear industry. Before he even started Opticianary school, which he paid for using the American GI Bill, he knew where he wanted to end up: creating a solution for prescription sports vision. After graduation he found work at a high-end optical store in the mall (not to be named) and disappointed by the lack of options for sports optics, in March of 1993 he started Sports Optical. Of the many challenges to overcome, the greatest was the fact that technology for fitting prescriptions into curved frames didn’t yet exist. The greater optical industry told him it was impossible, defied physics, and would be too distorted, so for the first few years he worked with the few insert systems and the flatter lenses that were available, until finally, after much experimentation, the magic began. It didn't take long before we noticed that many shooters were having trouble finding prescription eyewear that would both provide superior ballistic protection in addition to meeting their shooting-specific vision needs. That is when TacticalRx was born. Ever since we have been crafting custom prescription shooting glasses to help shooters get the visual edge on their competition and the ballistic eye protection that every shooter should have. 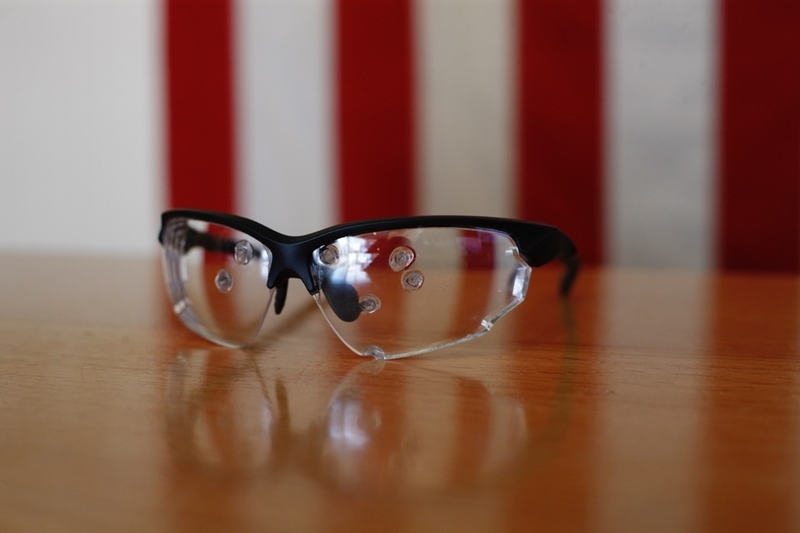 We've made glasses for the FBI, CIA, military, US Marshals, competitive shooters, and all kinds of tradesman. We look forward to making you the best glasses you've ever had!